27th June 2014 - Most of my friends are fans of pedicure & manicure; their monthly or even weekly beauty routine involved visiting at least one spa which of course covers nail spa! Male or female. Nowadays, it pays to look good. Alas! To my surprise none of them showed up! Only (cheekily!) informed when I was already on the road & coincidently it was also the founder – Sereen Eng’s birthday, I thought go ahead & have a fun Friday celebration! Glad I didn't turn back despite not knowing anyone there! Haha! It was my 2nd time visiting TTDI this year, with the help of the Google Maps and the experienced cab driver, it was just 25mins. drive away from Asia Jaya, PJ – mostly due to Friday traffic. Parking: Customers visiting this place wouldn’t have much trouble to find any parking (or makan) spots. Posh! 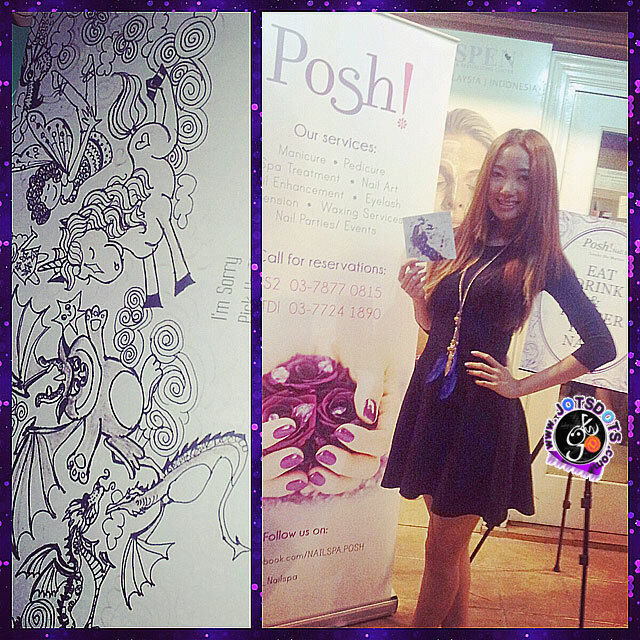 Nail Spa's founder, Sereen Eng's birthday! 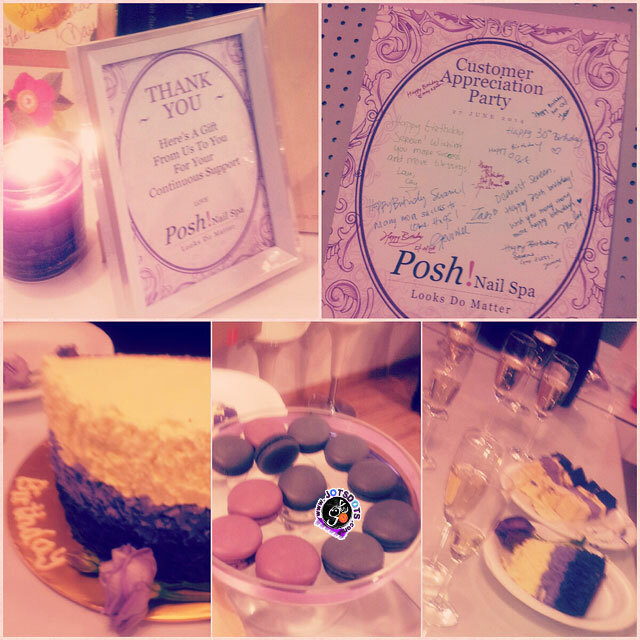 A beautiful purple theme celebration. Thru out the party, we melted & went “aaaah awwww... oooh waaah” thru all the heart warming wishes from friends & family members of Sereen. Despite the fact, this is my first time meeting Sereen and everyone else.. I was overwhelmed by their love, friendliness & kindness. Even the staff from Posh! Nail Spa and the catering service were very down to earth and one of them even dropped me off to the bus stop when I had difficulties getting a cab (tried calling to book & using all the Cab Booking Apps.) Initially thought of walking to the entrance to try my luck, but she was concern of my safety thus she drove and dropped me off to get a cab. Luckily a bus heading back to 1Utama was right in front of me! Kudos to the kind girl, you rock! Blessed, wrote this post while listening to Chelsia Ng’s Album “Here With You”. My favourite track would be... ALL OF IT! No, it’s not the title of the song but all the track songs in it. Here With You – the most rewind track; it transported me back to down the memory lane – childhood, growing up and loosing ourselves and finding answers. Not a Lie – I’ve heard of this song many times, I thought some American singer sang this! No, this is Not a Lie.. so this shows how limited my knowledge of local singers are. Yes. Despite being a Kakiseni supporter, I’m only well versed with local plays and Malay song.. 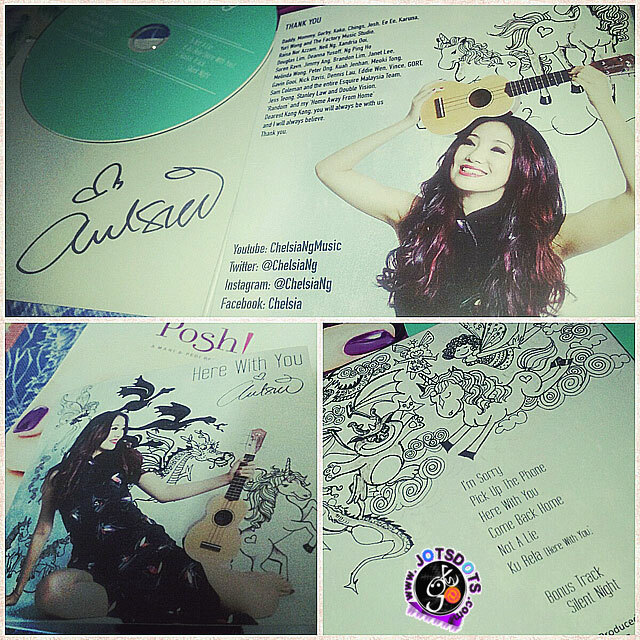 So talking about Malay song.. there’s a Malay track, Ku Rela in this album; which is the Malay version of Here With You. I like this one too, it’s like a lullaby I can to go to sleep or distress. Finally the Bonus Track: Silent Night. It’s not even Christmas yet& I’m already filled with nostalgic feel good blissful feeling flowing all over me. Hehe, how I got the album? I WON IT thru the lucky draw! Yes, luckily I had finished munching on the food else there would be pictures of me with puffy blowfish cheeks while accepting the signed album of Here With You from Chelsia Ng herself! Wooohooo... thank you! Thank you Chelsia for posing for me with your wonderful music album, Here With You! Enjoyed it! I like the creative quirky album designs too. So for those who did not come for the party boo hoo too bad. Do come next time! goodies from Shiseido, Sterling, Curves & many more.. feels like it’s my birthday! *Click on pic. for a bigger view of the map location. Here are the Posh! Nail Spa location at TTDI and SS2, current promotions and goodies! (PJ Branch) 23 Jln SS2/30, 47300, Petaling Jaya. *Landmark: Taman Sea High School, Yee's Tuition Centre, myBurgerLab. *Nearby housing area, corner shop lot. Other landmarks: Vin's Restaurant, TTDI Park, Sekolah TTDI 2. I find using the road from Section 16/17 is much faster compared to from 1Utama due to the current (on-going) constructions along 1Utama & Tropicana. Regret for missing out these goodies, promos & fun? It was a very Happy Day for me too! Thank you! Posh! 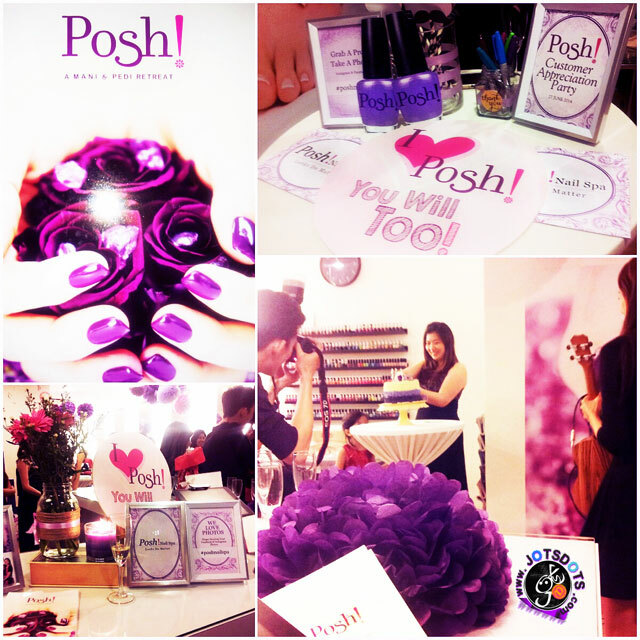 Nail Spa & everyone there for such purplish passionate evening! Previous story Kiehl’s: Fun in the Sun with 24 hours ultra hydrator protection?